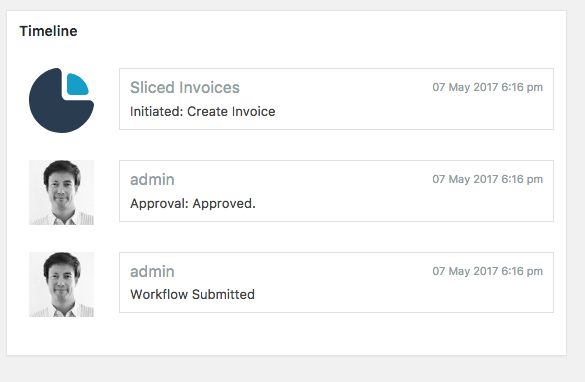 Gravity Flow includes built-in support for Sliced Invoices. On a standard Gravity Forms installation the Sliced Invoices Gravity Forms Add-On will create the quotes/invoices during the form submission process. The Gravity Flow integration enables administrators to add workflow steps at any point in the process to create quotes and invoices at a time of their choosing. 2. The entry order summary can be selected in the line items setting. 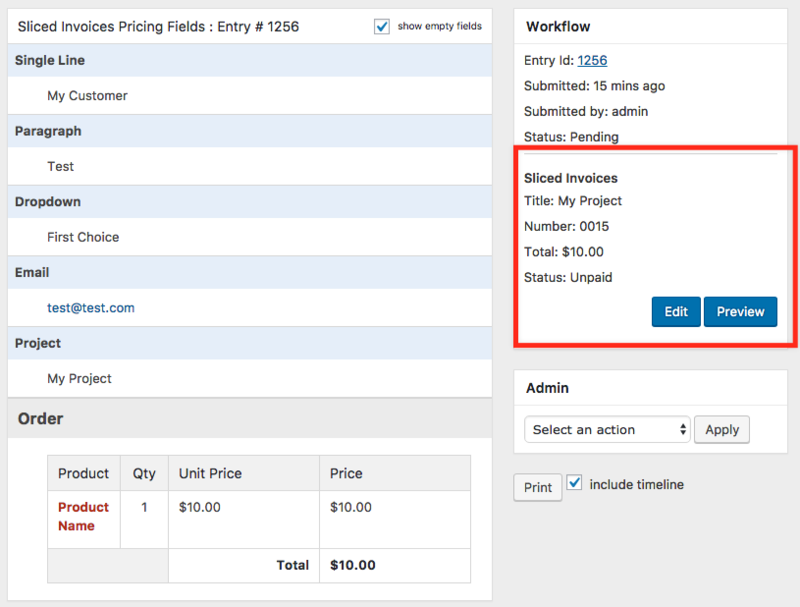 This makes it easier to generate quotes and invoices from forms that use Gravity Forms Pricing fields. Assign to: Select the assignees for this step. This could be the customer or it could be an admin user who is responsible for reviewing the quote/invoice. Emails: Select this option if you'd like to send and email to the assignees. Instructions: Select this option to display custom instructions above the field values. Display fields: Select the fields that will be displayed on this step. Step completion: This setting defines whether the step should wait until payment has been received before allowing the entry to continue on the workflow. When assignees visit the workflow detail page they will see a link to preview the quote/invoice. 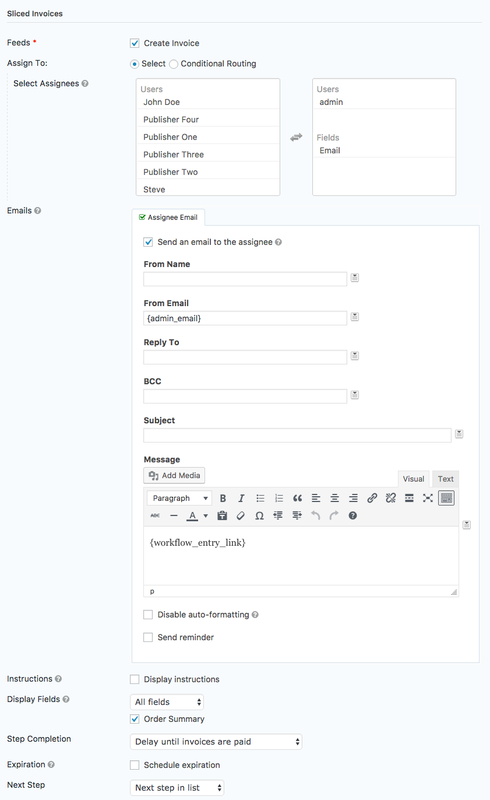 Only admins will see an edit button will leads to the Sliced Invoices edit page. Customers will only see the preview button. 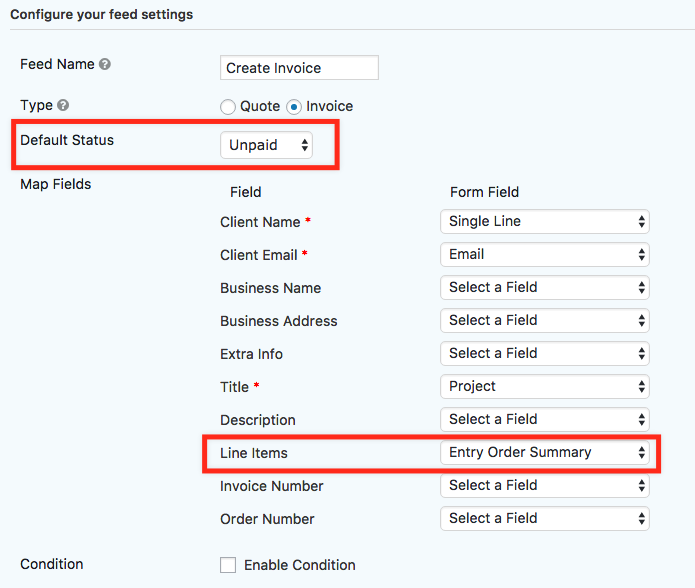 Each time a Sliced Invoices step is processed an entry will be added to the timeline.